Day 12 of the Heapnose Perfume Diary. Today I’m wearing Prada. Effortless Elegance? AMAZING. Longevity? AMAZING. Can I say its name without sounding like a Nob-Head? AMAZINGLY YES. Did I get this perfume for the bargain price of $40 because someone had accidentally priced it incorrectly in Sephora Toronto? AMAZINGLY YES. Did I then tell them it was my birthday and get a free lipgloss? AMAZINGLY YES. And a $5 “birthday” voucher? YES. And cheesecake? NO. Does Pat Heap like it? YES. Does Beardy like it? YES. Does it come with a beautiful atomiser that makes even my IKEA dressing table look like a set piece from a classic 1940s movie? YES. 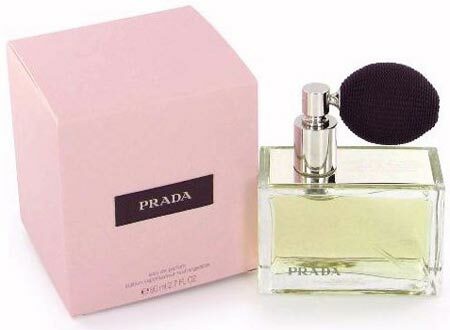 Does the atomiser leak when you take little Prada for a day out in your handbag so that when you come back from a trip to see the in-laws, you have NO perfume left but some really fragrant credit cards? Design faults notwithstanding, this is a lovely perfume. And it lasts for bloody ages. And it’s a cracking mosquito repellant. If I had any left I’d still be happily spritzing away with my trusty atomiser…instead of desperately rubbing my collarbone with my Boots Advantage Card, trying to save the last vestiges of the scent. Oh, the indignity. Blimey. So I’ll move on. The thing about the Prada family of fragrances is that they really are a family. 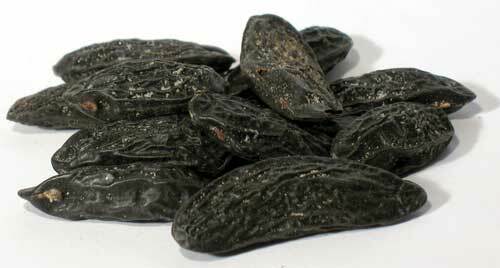 Each fragrance in the collection, including the men’s, shares the same base notes, but each has a discernibly different character. Like Girls Aloud, minus the rogue ginger. Or the Blackadder series. I like the signature Prada theme…it’s refined, elegant, classic, and above all, it lasts. So even though this fragrance is a good five to ten pounds more expensive than your standard D&G – you’re going to get more for your money. Though, I should say, this isn’t true of all the Pradas. Original; Yes Definitely, Infusion D’Iris; Yes Probably and L’Eau Ambree; Not really. This latest release is actually the nicest, but is also the most discreet. If you want to knock ’em out at ten paces – go with the original. So I’ll quit while I’m ahead and simply say that it smells feminine but not at all girly. There’s a good bit of depth, it’s strong and it’s achingly classy. 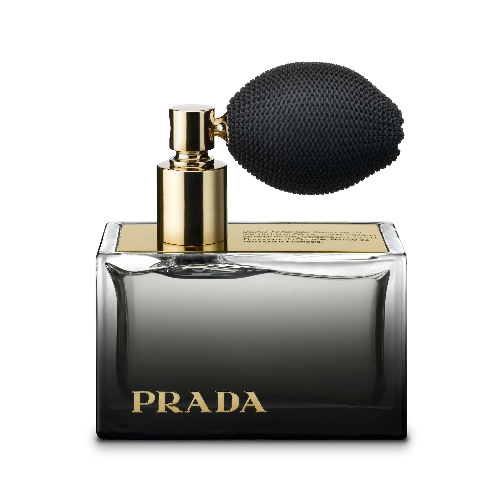 If (UK readers) are looking for a Mother’s Day Gift then I’d say any one of the Prada fragrances is worth a punt…for the class without the punch, and some Spring-friendly lighter notes, you could try the L’Eau Ambree gift set in House of Fraser (Cardiff). Decent size perfume, a free body butter and a counter lady who isn’t stingy with the samples. Sold. Just beware of that bloody atomiser. Mercy me, the same thing happened with my Prada Amber atomiser! I cried! My bag is incredibly fragrant! Luckily, i’m getting a replacement but will probably opt for the spray one now: Disappointing!